The Faster Mac OS X 10.6.8 is Probably the Last Update! 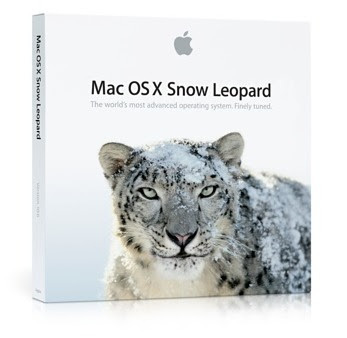 Mac OS X 10.6.8 is probably the last update of Snow Leopard. Apple has done things rather well. In addition to the support of TRIM on most Apple SSD, performs well in terms of raw performance. As always, Macs Only! Conducted a battery of tests with a Mac Pro with an ATI Radeon HD 5870 and a MacBook Pro with an Nvidia 320M on 10.6.7 and 10.6.8. In the vast majority of tests, Mac OS X 10.6.8 is faster than its predecessor. While in most cases, the difference is relatively minor (about a few points), it is sometimes quite important. The Mac Pro is able to display 211 frames per second with Halo, against "only" 154 in 10.6.7. On the MacBook Pro, there is also a gain of 41% in one of the Xbench tests dedicated to graphics performance of the user interface. On the latter test, it is to be taken lightly as Macs Only! Note that a test to test significant differences. Anyway, it seems that the new drivers included in 10.6.8 they have made little effect. Mac OS X 10.6.8 is on the whole faster than 10.6.5, which was previously the reference. Note finally that the activation of TRIM has had a positive impact in terms of performance. For some, the Mac starts up faster since the update. On several occasions, HP announced that it was inclined to offer licenses to webOS phone manufacturers and other material business or the public. So recently, his boss, Leo Apotheker, had a call from the foot HTC, it seems that American society is also in talks with Samsung. In any case, what has been said three people at Bloomberg. The Korean company would seem to suggest he phones equipped webOS. If such an agreement materializes, the Korean company would to its catalog of devices on four different platforms: Windows Phone, Android, Bada and webOS. For Samsung, this would be a way to become less dependent on Google. Asian society is not consistent with the strategy of the Internet giant that is to do everything possible so that manufacturers cannot customize the operating system. This would also be a way to revive the market shelves where it has been very successful so far very limited. From this point of view, the discourse of HP is diametrically opposed to that of Google. 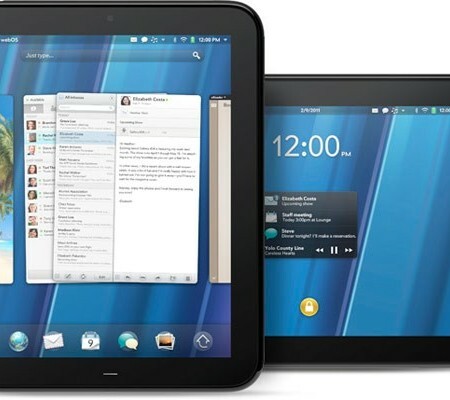 The computer manufacturer wants to offer its OS if and only if the licensees are providing to the building webOS and do not just sell "stupid" stamped material webOS. 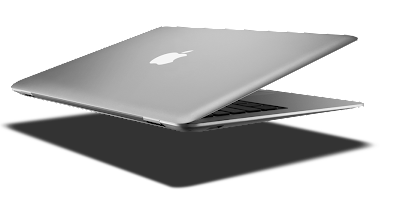 Recently, it has often been a matter of renewal of the range MacBook Air. But the ultra-portable Apple is not the only model to be rare in the store shelves, the Mac mini and MacBook are no longer in stock in several stores in the United States. The break is far from complete, the Apple Store shows a shipping time of 24 hours for both models. While it is rumored for months that the Mac mini could in turn pass Thunderbolt and Sandy Bridge architecture, the projects on his Apple laptop white are much more obscure. Apple might be tempted to give this machine to make room for the MacBook Air; the price could drop to the passage of the $ 100 entry level. An $ 899, the ultraportable Apple would probably forget its few flaws, including its storage space reduced. The white MacBook is somehow in the same position as the Mac minis there are three or four years. Apple should probably question the follow-up to this model. One thing is certain; it is no longer the priority. If the theory of abandonment is credible, it is not the only one. The Cupertino company may very well propose a revision to the minimum with a slightly more powerful processor, more RAM or a bigger hard drive so ... Finally, note that the July 19 return more often regarding the launch of Mac OS X Lion and the new MacBook Air. Sony introduced a new notebook that uses Light Peak in an original way. The VAIO Z uses the standard Intel to connect the computer to an additional module that contains three USB ports, an Ethernet port, one VGA and one HDMI. This module also incorporates a Blue-Ray or DVD, but also an additional graphics chip (Radeon HD 6650M), which is more powerful than integrated into the computer itself (an Intel chip). The idea is simple; the computer itself is very small, without compromising on the number of ports or the power when needed. The VAIO Z is a PC with 13.1-inch high resolution (1600 x 900 pixels), it weighs only 1.18 kg for a thickness of 16.6 mm. By comparison, the 13-inch MacBook Air weigh 1.32 kg and measuring its thickest point 17 mm. Inside, the VAIO Z may contain a Core i7 2.7 GHz, 8 GB RAM, 256 GB SSD in RAID 0 (two drives running in parallel) and a battery that offers seven hours of battery life. Good idea further, we can add a battery that does not take the form of an unsightly bulge on the back, but a layer of the computer. The module itself uses the same technology as the Thunderbolt promoted by Apple, but Sony does not use the name or the connector of the company at the apple. Instead, the Japanese manufacturer has its own proprietary connector which apparently takes the form of a USB port since it can be used and when the module is not connected. The VAIO Z due out in July, but you can already pre-order on the website of Sony. The model with a Core i7 8 GB RAM 256 GB SSD, the additional module with DVD burner and battery and additional costs € 2814. FCP X assigns each file a unique identifier and can find it automatically, thus avoiding errors (FCP X to a SQL database each file with its ID). Harrington raises an objection: if the file in question was changed, it can again be lost. It seems that FCP X is able to track changes and therefore never lose a file, with this flexible by base. FCP X indeed completely reverses the management of the media: it is no longer a structure to mimic folders / files, but to add meaning to management. So now Apple is resting on a system of keywords; applied to the media, they can organize them into smart collections. The files are thus more structural units, but the semantic units: Drag a media applied to it in a folder that keyword. Rich Harrington claims to have fewer opportunities to customize the view. Its technical director, he, loves, "it's like to have Google search for my project, it's faster and you can sort the media that any arrangement of keywords and phrases.”On this point, it seems we will have to make new habits. Automatic backup ... almost X Final Cut Pro automatically saves the changes on the fly. If several editors applaud the Auto-Save, others see a number of problems; it is impossible to create "branches" of backups is to say different versions of the state assembly, for adapt to the wishes of the client. On this point, the precise operation of FCP in OS X Leo X must be specified; Versions should create a timeline of all the different versions of a project. We could cite many problematic features, but some cited here show the magnitude of the task. The core problem is the ability of Apple to communicate, assist and reassure customers. 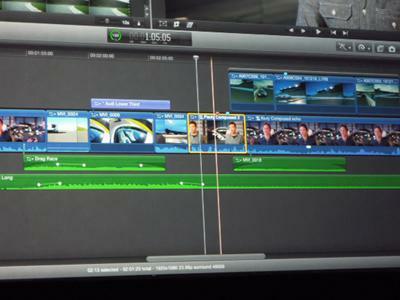 X with FCP, the Cupertino Company makes choices clear; for many, FCP 7 will remain for a long time a weapon of choice. Apple seems ready to add functions to FCP X from user feedback: the heart of FCP X allows the application to be updated quickly in small steps. Thus, multicam editing and XML support will be incorporated through minor updates. X FCP seems to contain the seeds of many promises. The question is whether Apple will manage to hold them fast enough to convince.